Oliver Sears Gallery is delighted to present Nick Miller’s first exhibition at the gallery. Entitled Rootless, this selection of Still Life paintings continues the development of a theme that has been absorbing the artist for the past seven years. A genre of painting that stretches back over the centuries, Still Life might seem tame, sedate, decorative even; and yet in Miller’s hands, it is anything but. The artist has turned, repeatedly, to this simple engagement with nature, because it encapsulates nothing less than our own daily struggles with the transience of life, and with death. By cutting flowers, weeds and branches, and placing them in vessels in his studio Miller sets up a daily encounter with impermanence. It is a race against time. Fruit, flowers, blossom, leaf or branch become subjects for a day. The vases, jars and bottles provide a temporary holding ground for this meeting, while studio interiors - materials, easels, ladders, patterned cloths and other canvases - provide a half-seen backdrop to the moment. What matters in this practiced encounter is the opportunity it offers to pay attention, and forge connection for the briefest time, to a passing moment in the life of the universe. As Miller works to capture and hold the life of a gently wilting plant in all its fragile vibrancy, he offers us the illusion of permanence in paint for these rootless plants, while attempting to find a way to ground his own sense of rootlessness through the act of painting. This exhibition includes both new work, and a selection of the early “Vessels : Nature Morte” paintings, began in 2013 following a four year collaborative arts residency at North West Hospice in Sligo. There, the artist established a temporary studio on the ward, where he began to paint flowers as a route to engaging with patients, often leading to remarkable conversations and subsequent portraits. As that project evolved, the loss of Miller’s own parents mirrored the process in the hospice, and these paintings became a way to connect to his mother during her terminal illness. In more recent times he has begun working on a larger scale where the encounter with nature is more complex, demanding and physically challenging. The results are testaments to resilience, fragility and beauty. They create a pause to the inevitability of decay. Alongside Still Lives, Miller is known for his intense portraits, and various situational painting projects, such as the groundbreaking “Truckscapes”, landscapes made over 15 years from the back of a truck converted into a mobile studio. 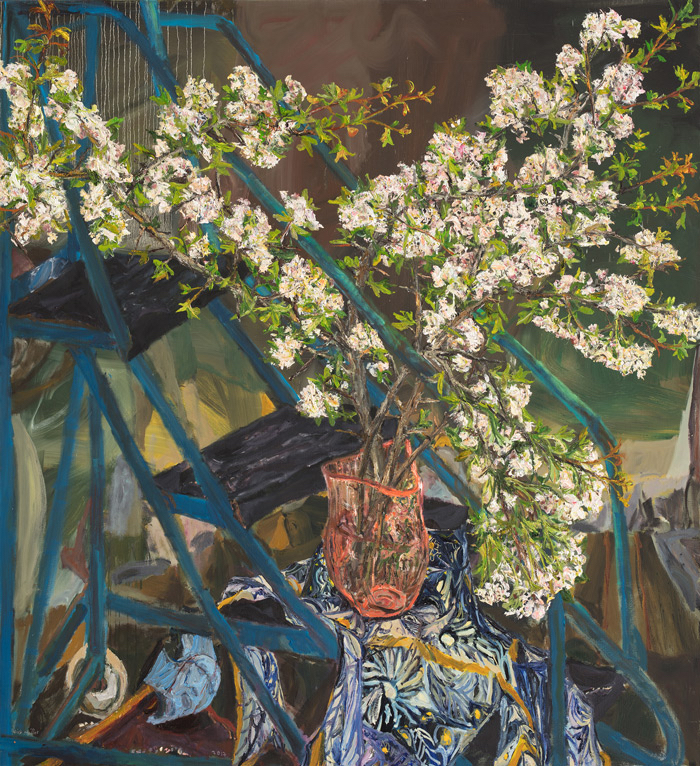 The artist’s particular approach to observational painting began to evolve in the late 1980s, responding to the writings of the influential existential Jewish Philosopher, Martin Buber. In Buber’s seminal work “I and Thou”, Miller found a useful creative and personal framework for understanding how he might engage the world. Over subsequent decades he evolved a way of working with people, landscape and Still life that relies on a practiced attention given to the lived encounter. The paintings are, for the artist, just the material remains of this process. For the viewers they are the evidence of his highly charged, extraordinarily engaged meetings with his subjects. Nick Miller was born in London in 1962. Graduating in Development Studies from the University of East Anglia, he moved to Ireland in 1984, working first in Co Clare, then in Dublin. Since 1992, he has been largely based in Co Sligo. Miller pursues different genres and modes of working that allow direct engagement with subjects: portraits, landscape or object. He was elected as a member of Aosdána in 2001 in recognition of his contribution to Arts in Ireland. He is the recipient of the inaugural 2014 Hennessy Portrait Award at the National Gallery of Ireland. Miller has exhibited widely including solo shows at The Irish Museum of Modern Art, the RHA, the New York Studio School, Centre Culturel Irlandais, Paris. In 2017 He was guest curator of the RDS Visual Art Awards exhibition. His work is held in many private, Institutional and public collections Nationally and internationally including The National Gallery of Ireland; Irish Museum of Modern Art; Dublin City Gallery, The Hugh Lane; The Arts Council (Ireland); The Niland Collection, The European Investment Bank, Luxembourg.